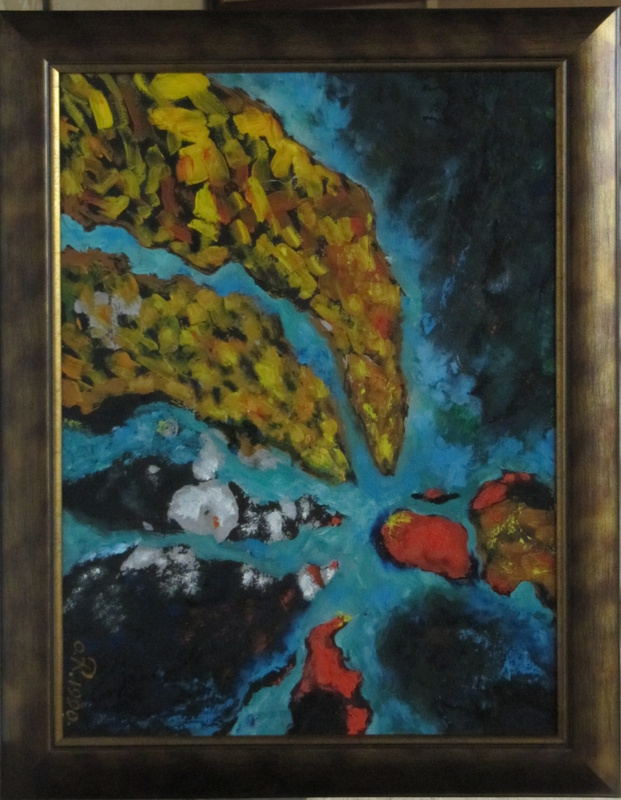 And the abstract composition symbolizing movement in space in one direction of some bright color formations. Pastose is filled with oil on a wood-based fiberboard primed with white glue. The composition of the picture allows you to consider it both horizontally and vertically - from all four sides. The work is framed.